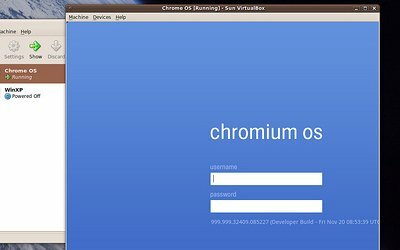 Chrome OS is a Linux-based system conceptualized and developed by Google. It has the same as the Chrome browser and the same design and interface. It is lightweight as compared to Windows. Security is internal and thus no need for an external security. 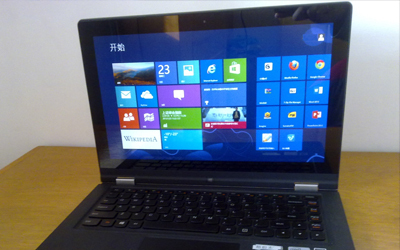 Windows is the largest penetrator (approximately 90%) of the market for laptops and windows worldwide. Having utilized the first mover advantage, they have capitalized over parts of the market. The primary difference is with the start menu. Chrome offers a list of apps and Windows offers a range of services and files. In Chrome, it is at the bottom left corner and for windows, it is to the right of the panel. Though the basic interface is similar, the placement of the settings, applications and other files vary. Windows has an alerts system that is not a feature of Chromebooks. The software support is different. Windows has a wider range of applications that can support it. Premier companies like Avid and Adobe have created Windows pliant software. Chrome, on the other hand, doesn’t have as much a professional support. Most devices these days are touch friendly. Chrome OS and Windows laptops are touch-enabled and have minimalistic workspace options, windows, however, offers a wider range. In Chrome, the taskbar shows up to a few notifications only. Only shortcuts to essential apps and important settings like Wi-Fi and time can be accessed. The display of the two systems varies. For example, Chrome books are about 12-15 inch measured diagonally while windows work up to 17-17.5 inches. The most important difference is a Chromebook is with 32 GB of storage and expands up to 64GB. Windows starts at 64GB and has a lot of its own. However, the software of Windows takes up more space than that of Chrome. Any laptop tends to have a better battery life than a Chromebook. Chromebooks have a battery that lasts up to 8-10 hours and windows laptop has around 10-12 hours. Another important difference is pricing and what they have to offer. A Chromebook and laptop have a lot of variety in their price range. A low-cost laptop and a Chromebook offer similar features but as one climbs higher on the price ladder, laptops have a lot more to offer for a designated price than Chromebooks. Both Cortana for Windows and Google Now for Chrome are equally efficient. Both can be asked questions and reminders can be set as well. Cortana, however, is more task efficient and does more. It can joke, dictate emails and perform more. Chrome itself is a great browser but one cannot run certain important plug-ins and thus there are compatibility issues. Laptops, on the other hand, let you run Chrome as well and thus are more flexible. They are also compatible and have modes like reading mode, offline mode, night mode and brightness contrast to give the user a more friendly experience. Simply put, which system is better majorly depends on the features you want. If one wants an enormous app range, Windows scores better. A gaming freak would choose windows over Chrome OS. If one, however, feels that, Google apps and services can justify their needs and there is no need for an external support, the Chromebook may be a better choice. If versatility is what you look for, choose windows. While both are pretty similar in the price point, it boils down to choices.